The purpose this blog focus on positive things- beautiful things- and to share them in the hopes that some of the images will brighten someone's day. Beauty can be found everywhere- you just have to look for it. I love photography because it forces me to search for beauty. If you search for beauty you are sure to find it (and oppositely, if you search for negativity, you will find it as well). With all the negativity in the world, I'm choosing to focus on beauty, knowing that I can always find it and that if I keep focusing on beauty, I will have less space for negativity and will open up more room with the positive. I'm digging into my collection to find images that will fit the theme of each week, and will also add many new images. Certain images and scenes can bring a sense of serenity, so wanted to share a few of those images that bring peace to me. Enjoy! (This challenge was given to me today, and this is why I started the blog- I have lots to share). My husband, who now jokingly regrets this act, bought a digital camera for us right before we went on a trip from Bali to France (with many stops in between). I'm not an adventurer without being prodded along by true adventurers. Brian booked stops in Bali, India, Cambodia, Thailand, Turkey and many more, but the only way he could get me up and about each morning for exploration was to encourage me to take pictures as art. 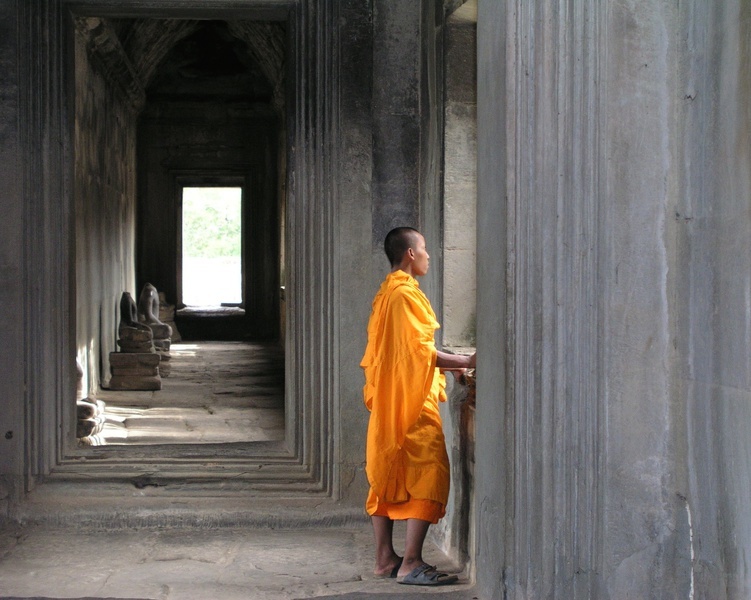 This particular monk was the picture that hooked me on photography. I did feel like an irreverant tourist by taking this picture, but it has inspired me and many others. 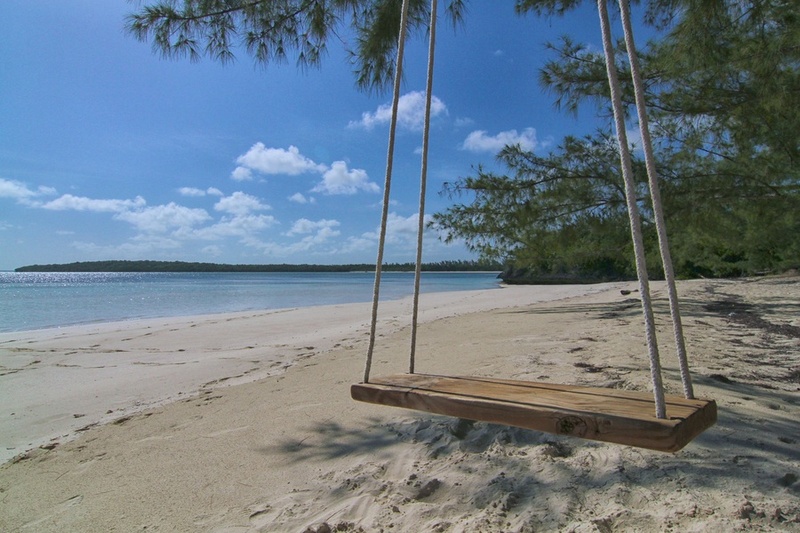 Who can resist climbing onto a swing with such a beautiful view. 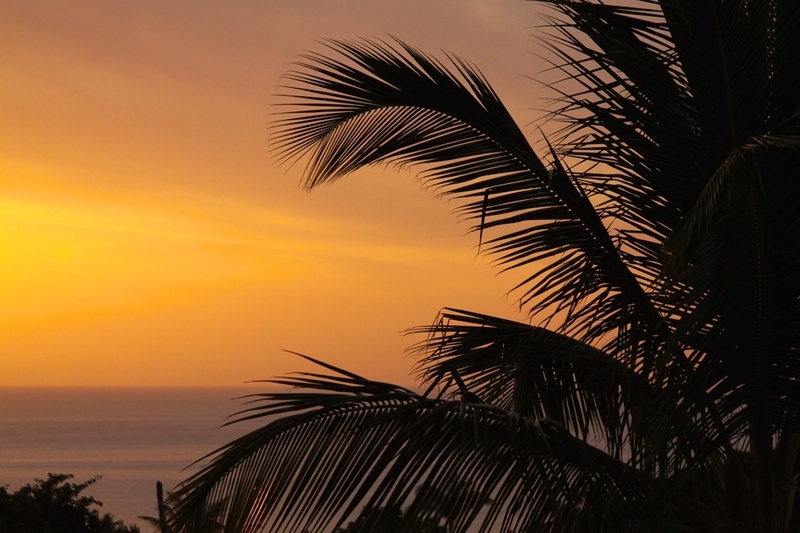 Imagine yourself slowly leaning back, kicking out your legs and enjoying the breeze. 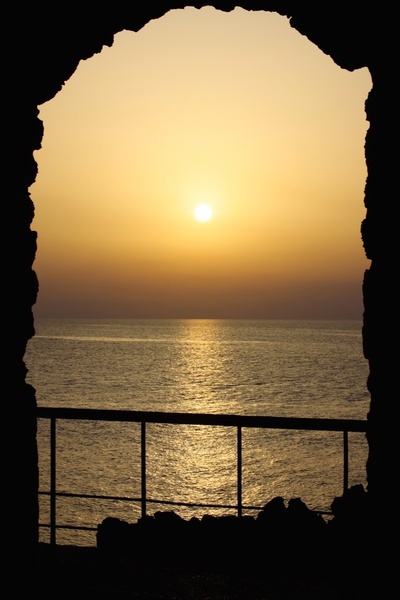 While visiting friends, Frank and Robin, in Sicily, they took me to a beautiful oceanfront spot and specifically brought me to this exact spot to watch the sunset through the door opening. Wow! 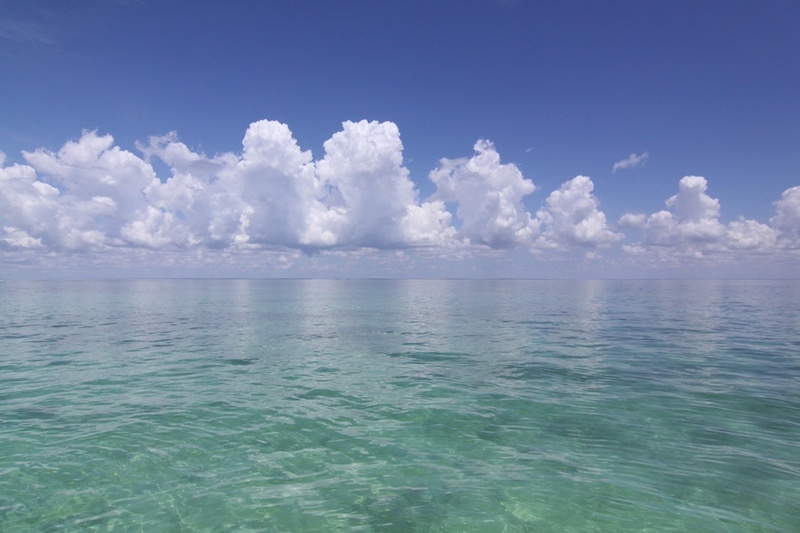 On a perfectly calm day in Miami (Sands Cut), the clouds reflected on the turquoise water. 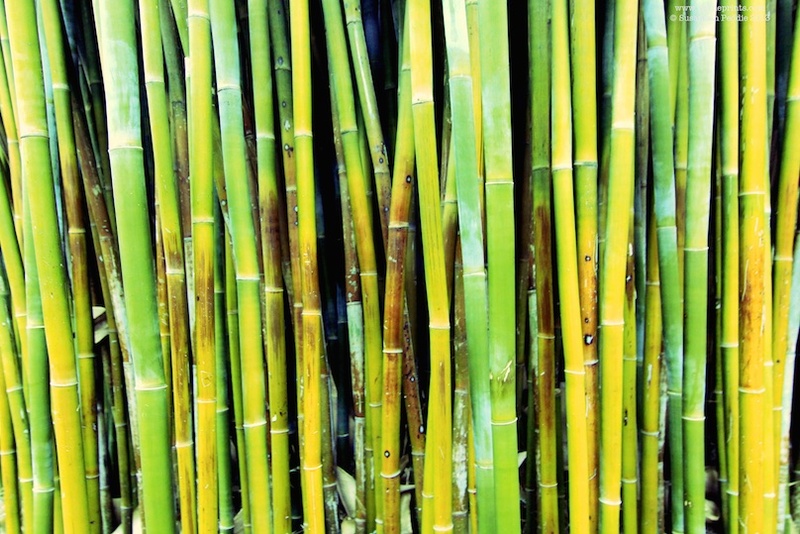 Tucked away in the beautiful Kanapaha Gardens in Gainesville, FL is a peaceful bamboo garden. 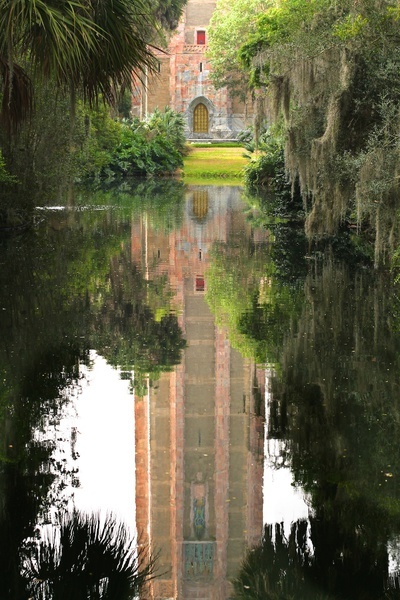 Bok Tower Gardens in Lake Wales, FL is one of my happy places. With it's beautiful marble bell tower and gorgeous flower gardens, it remains one of my favorite places on earth. 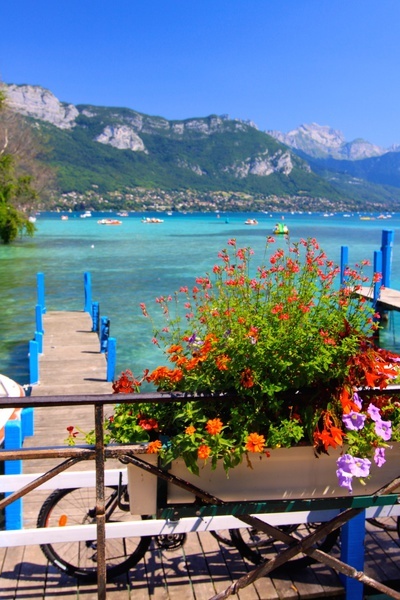 Always one of my favorites- who can resist fascination with a perfectly clear, blue lake surrounded by the Alps. Looks like someone arrived by bike and went sailing and paddle boating in the beautiful water. 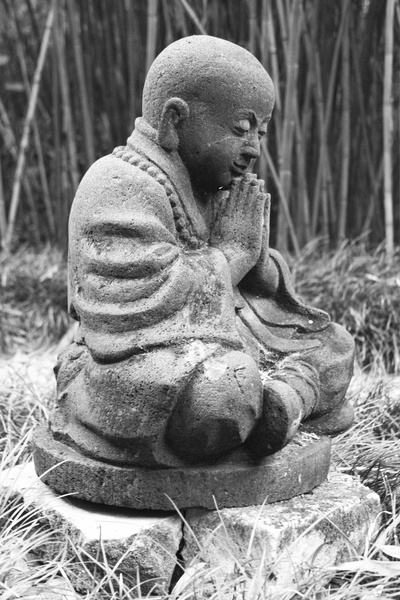 Praying Buddha at Kanapaha Garden. Calms the soul. While sunset pictures are cliche, they are cliche because sunsets will always be beautiful and each one is different. I will never be able to resist a beautiful sunset opportunity. 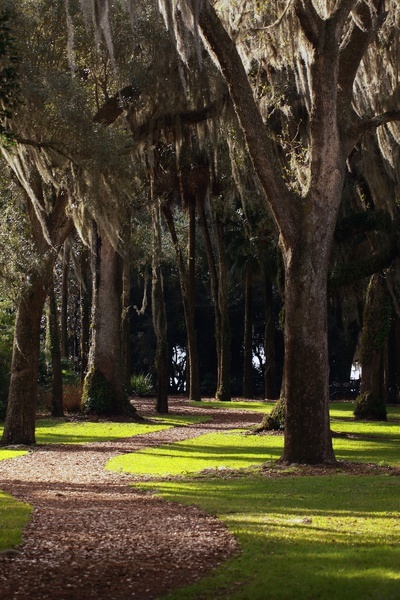 Another one of my favorites from Bok Tower Gardens. This reminds me of my childhood- I used to bring peanuts or bread to feed squirrels at Bok Tower (in fact, everyone did- it was probably the only place on earth with tame squirrels). I think that after years of not feeding them, they are back to being frantic, but they used to come right up to people begging for food. I have a picture of myself with a squirrel on this path.